So you’ve been accepted to nursing school. First and foremost, a congratulations is in order – these days, the application process alone can be enough of a minefield to scare-off even the steadiest of applicants. However, as I’m sure you are all too aware, your journey is just beginning, so don’t get too carried away with the acceptance celebrations, because there’s work to be done! Worried about how you’ll fare in nursing school? Don’t be. Many have successfully gone before you, and many will successfully go after you’ve graduated. The trick to having a successful run is finding your rhythm and getting yourself into a routine that is both comfortable and efficient. 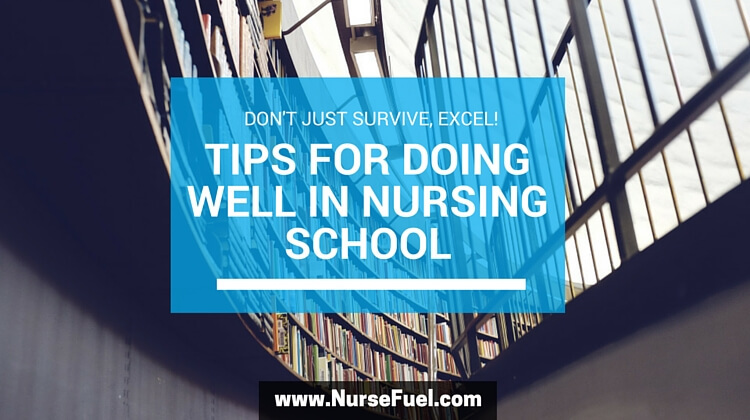 Here, we’ve scoured the internet and shaken-down some of the most experienced nurses we could find to come up with some iron-clad tips for doing well in nursing school. If you are able to attend nursing school full-time, we highly recommend that you do so, and not try and hold another job. The more you can focus on the material in your courses and shut out all potentially distracting external stimuli, the better the chance you will have at success. Even if you are a part-time student, working or taking care of a child or family member while attending nursing school, make sure that you make a mental shift in your schedule and routines by prioritizing nursing school first as much as possible. In doing so, you will stand much less of a chance of not meeting deadlines or falling behind in your studies. When you get your schedule of classes, have a look at how your days will play-out, and try to set-aside a chunk of time every day that you can use to study, whether it is reviewing notes, writing a paper, or creating flash cards to help you remember your anatomy and physiology. There will be a lot of information coming at you in nursing school, and if you leave your studying to the last minute and try to cram it all in before an exam, you will likely not succeed. And yes, it’s probably a good idea to leave one day a week that’s as unscheduled as possible. Think of it as a day to re-charge your batteries; you can just relax and do something that you want to do. That’s not to say that you have to run out and buy some state of the art software tracking system that will set you back several thousand dollars. These days, something as ubiquitous as a smartphone has the technology to launch the space shuttle, and it will most definitely have a scheduling app on it that you can use to your advantage. Input your class times, use it as an alarm clock, and set alerts for things like study and exam times to ensure that you stay on track. Even if you’re not technologically-minded (although you are reading this article on the internet so you must be at least a little bit…) there are plenty of paper and pen ways to keep yourself organized and on track. One experienced nurse that we spoke to told us that back in her nursing school days, she liked to take one of those old-school Trapper Keeper 3-ring binders that zipped into a portfolio with her to class. She told us that this meant that there was never that moment when she realized (too late) that she had accidentally grabbed the wrong notebook or folder, because everything for all of her course work was always in the same place. This is one of the biggest pitfalls of not only nursing students, but nurses in general. Because nursing is a profession that is very much centered around taking care of others, nurses have a tendency to get in the habit of putting themselves last. Don’t fall into that trap! In order to be an effective nursing student (and later an effective nurse), you need to make sure you are practicing what you preach. This means getting enough sleep (another good reason to schedule your days efficiently), exercising regularly, eating balanced and nutritious meals, not drinking to excess (well, not too often anyway), and of course the very best thing you can do for yourself (as any nurse worth her salt will tell you), not smoking. While there are many more tips and tricks to doing well in nursing school, the aforementioned tips are some of the most basic and effective means by which to get yourself into a routine that will foster the appropriate environment for success. Remember, anxiety is the enemy of efficiency, so relax, take it one day at a time, and enjoy the learning process! 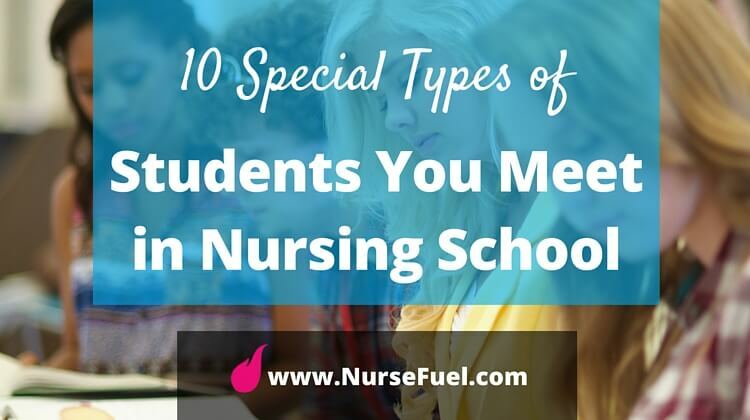 10 Special Types of Students You Meet in Nursing School 10 Things We learned in Nursing School (and you’ll learn too!) 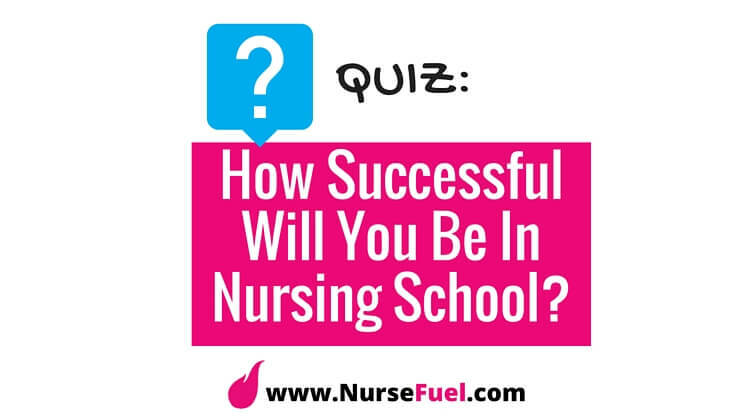 Nursing Hacks – 8 Tips and Tricks to Help Nurses QUIZ: How Successful Will You Be in Nursing School?